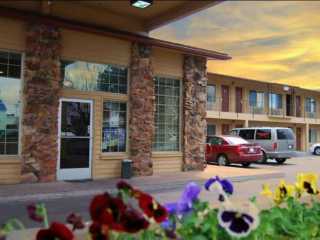 Your ideal choice for Klamath Falls Hotels! 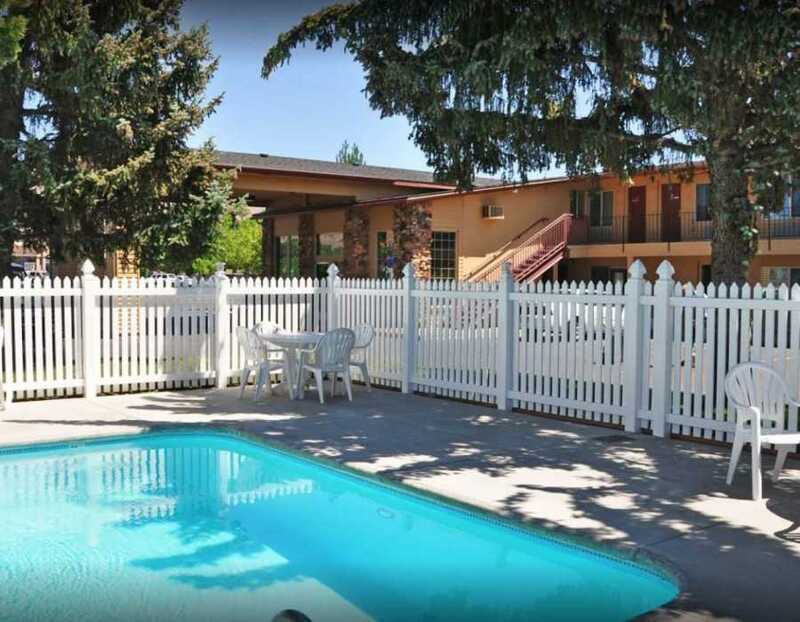 The Cimarron Inn Klamath Falls is well equipped to handle your travel needs, whether you are traveling on business or looking for a relaxing getaway to Crater Lake. 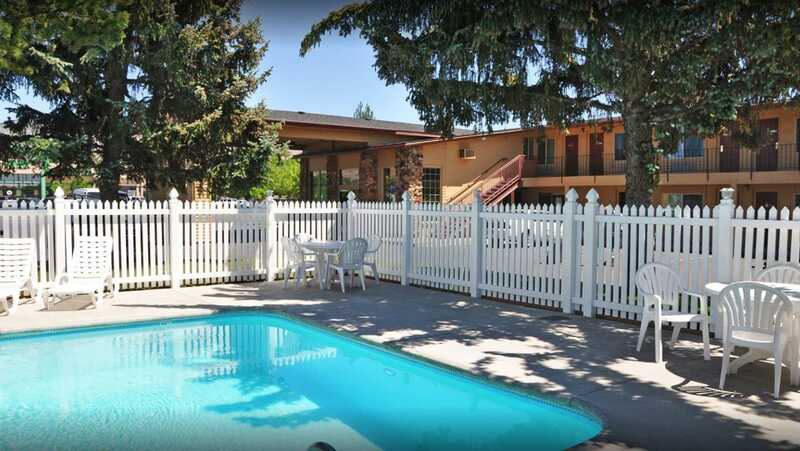 This prime location is found in the heart of Klamath Falls, minutes from Downtown and the Klamath Museum, as well as a quick shuttle ride from the Klamath Airport. 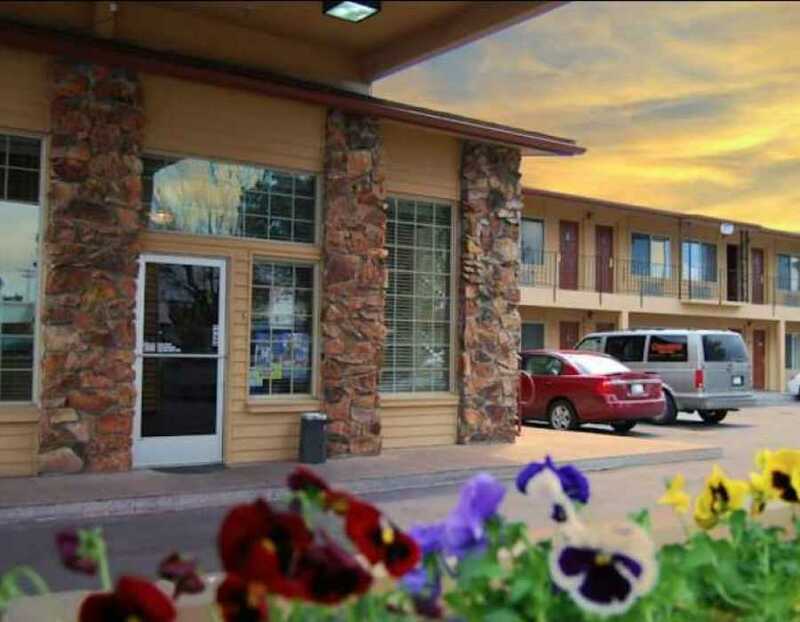 The Cimarron Inn is conveniently located near several shopping venues, and the award winning Running Y golf course. 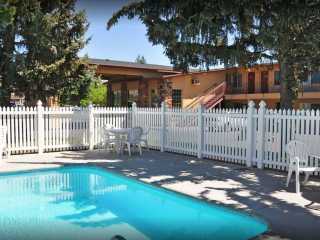 For the nature enthusiast, we are also located near Klamath Link River Trail and OC&E Rails to Trails line. 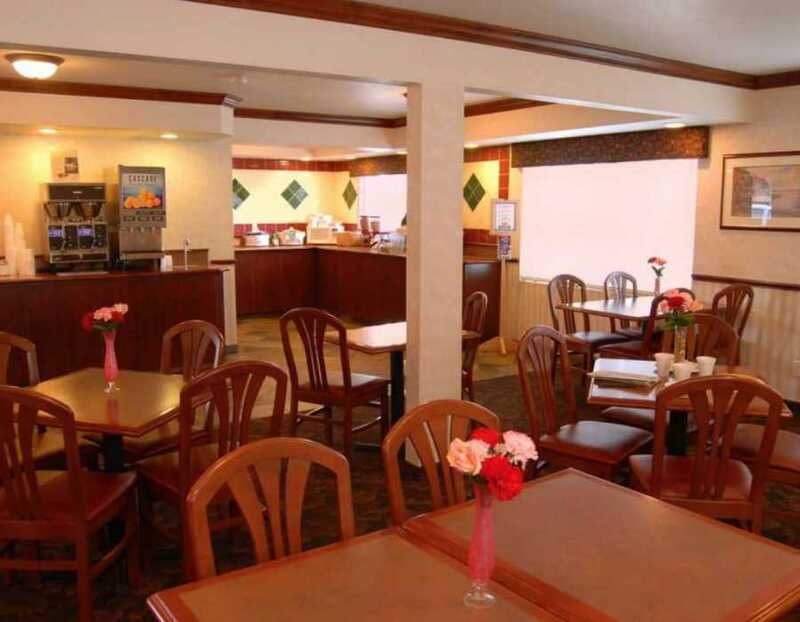 Cimarron Inn offers value added lodging at consistently competitive rates. AAA, Senior Citizen, Government/Military and Business Travel discounts courtesies may be arranged for qualified corporate and institutional client accounts. 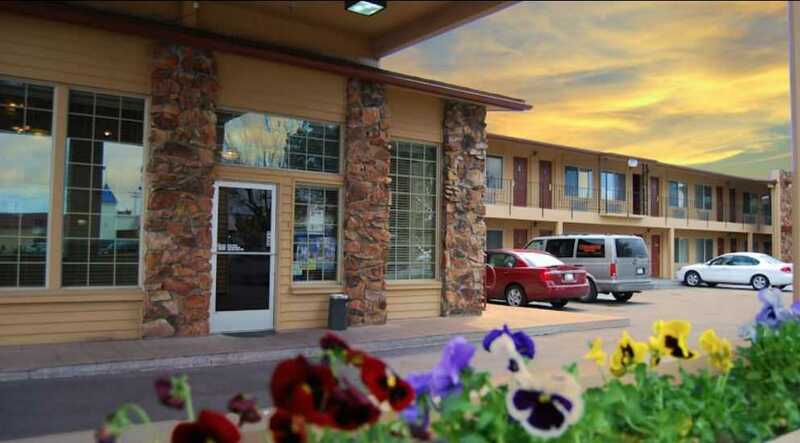 When visiting Klamath Falls, Oregon, make the Cimarron Inn your hotel choice. Take OR 140 ramp toward OR 66 / Lakeview / Medford. Turn right onto OR 140 / Southside Expy / S Klamath Falls Hwy. Take the Washburn Way exit 3. Turn left onto Washburn Way. Turn right on 6th Street. Take US 97 to the slight left to Crater Lake Parkway. Turn right at OR-39 Business North / South 6th Street. 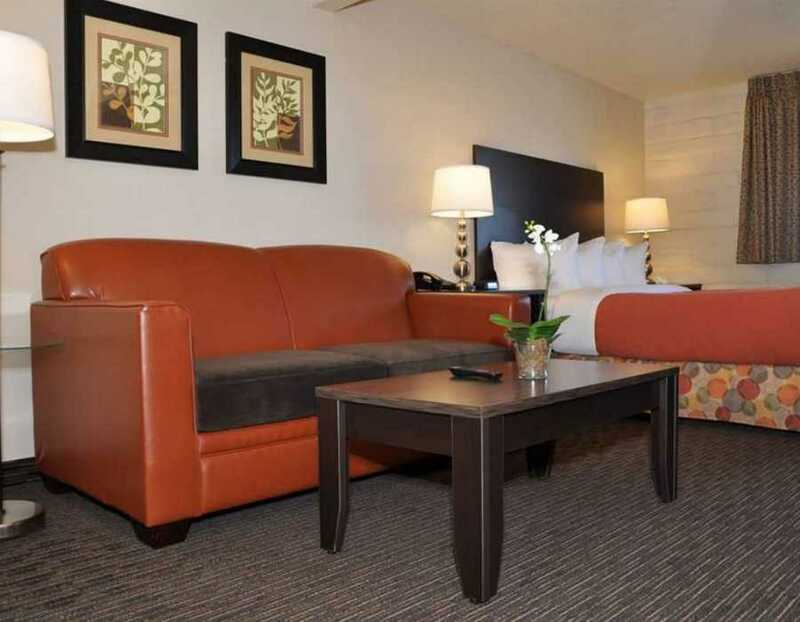 This well-appointed two bedroom suite is furnished with one King bed and two Queen beds, featuring Cimarron Inn's signature premium bedding package. 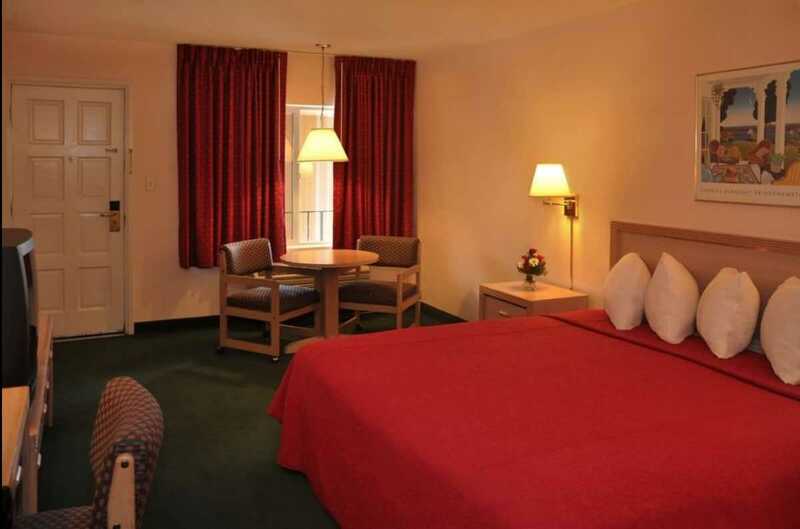 For your convenience, the room includes table and chairs, refrigerator, microwave, two TV's, coffee maker, hair dryer, iron/ironing board, alarm clock/radio, wired & wireless internet. 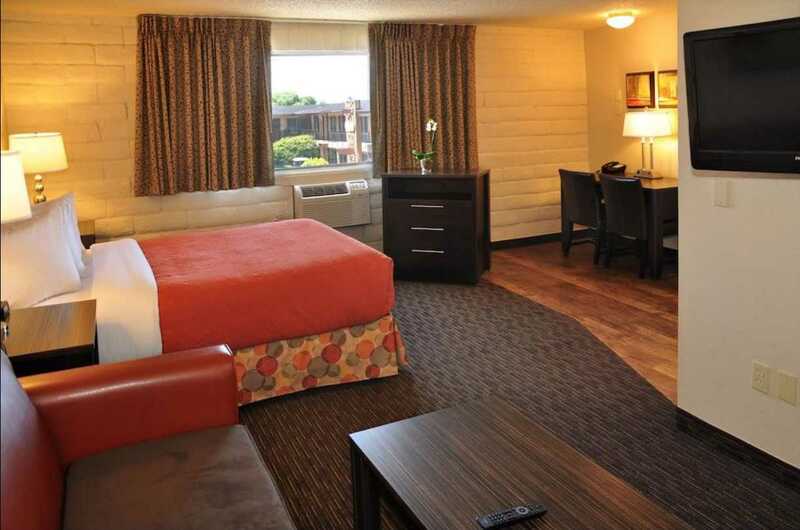 This well-appointed room is furnished with one King bed, featuring Cimarron Inn's signature premium bedding package. For your convenience, the room includes a 27-inch TV, sofa, writing desk and clock radio. 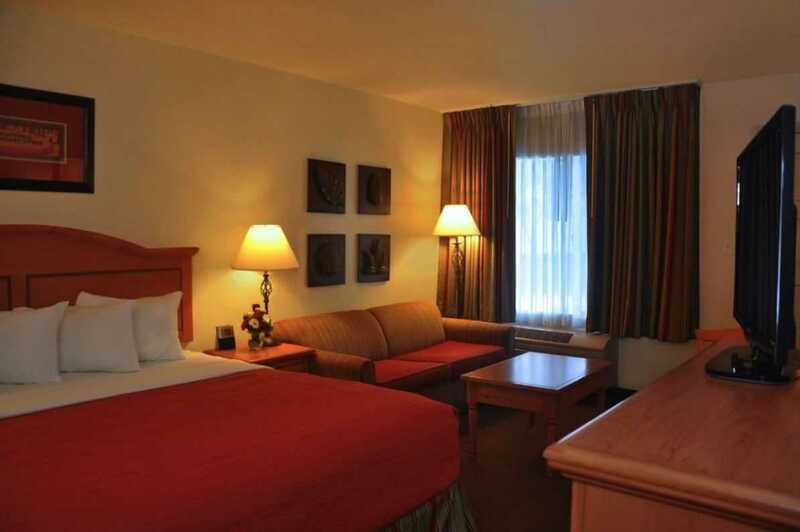 Complimentary wireless internet access is included in all of our room types. 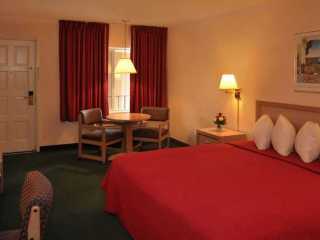 This well-appointed room is furnished with two Queen beds, featuring Cimarron Inn's signature premium bedding package. 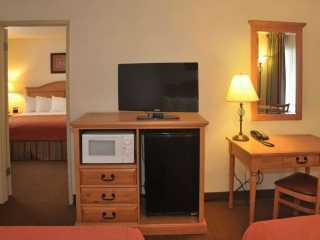 For your convenience, the room includes a 27-inch TV, writing desk and clock radio. 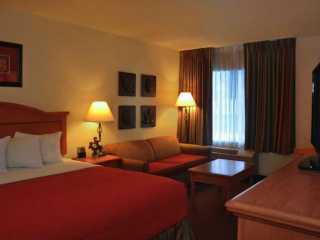 Complimentary wireless internet access is included in all of our room types. 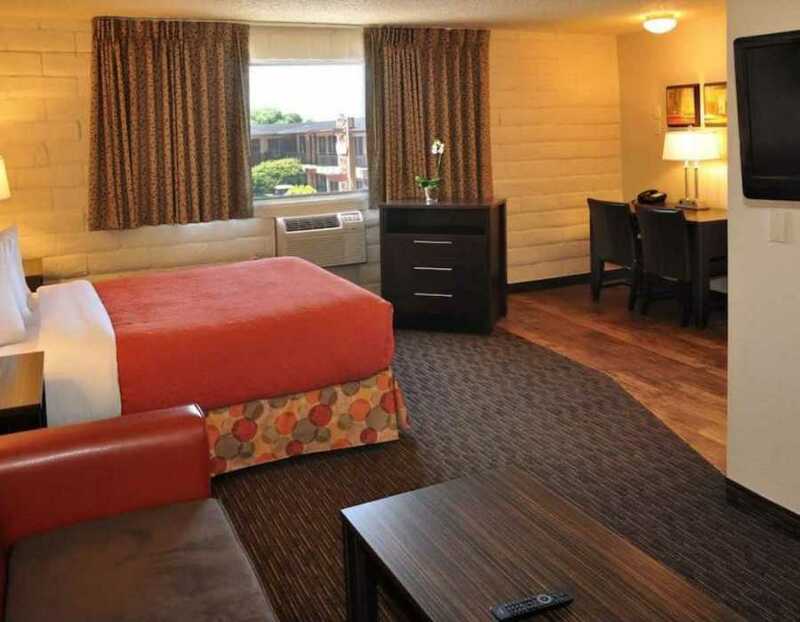 Enjoy a comfortable night stay in a nicely furnished room with one King bed, featuring Cimarron Inn's signature premium bedding package. For your convenience, the room includes a 27-inch TV, writing desk and clock radio. 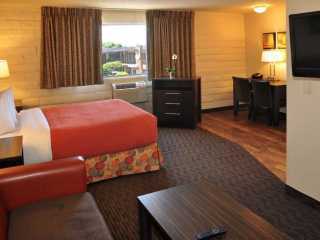 Complimentary wireless internet access is included in all of our room types. Enjoy a comfortable night stay in a nicely furnished room with two Queen beds, featuring Cimarron Inn's signature premium bedding package. 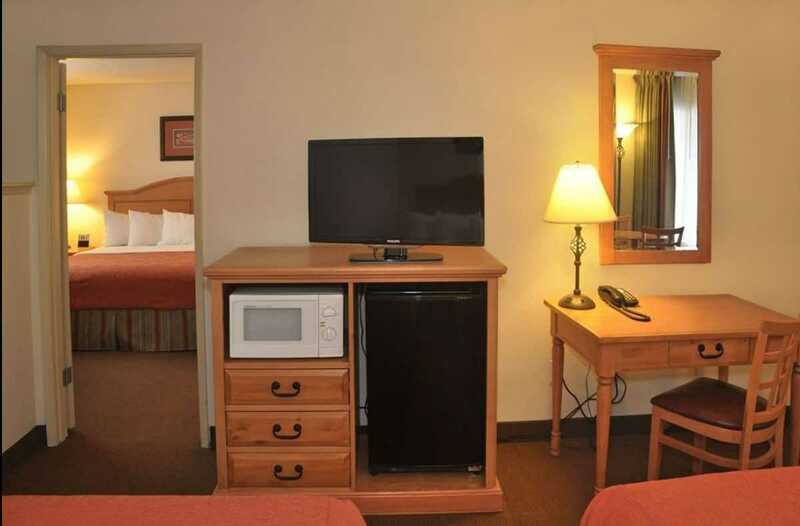 For your convenience, the room includes a 27-inch TV, writing desk and clock radio. Complimentary wireless internet access is included in all of our room types. We were really pleased with our stay at this Inn. It was comfortable, clean, and quiet. Breakfast was simple, but the food - especially the scrambled eggs - were fresh. The service at the front desk was great. We brought our dog with us, a young Labrador, on his first-ever road trip. And that's what tips this rating scale to a 5! First of all, they gave us a room on the ground floor which was big enough for the dog to walk around some. (Although we kept him in a crate most of the time.) There is a dog run/bike path behind the building that goes on for a couple of miles with intermittent bag dispensers and trash cans available. Best of all, they have a "dog washing station" at the corner of the building to clean his dirty little paws before returning to the room. We decided to spend an extra night there - after driving to Crater Lake for the day. Our thanks to all the staff. - Bruce and Maryellen, and MacKinley. Great Hospitality.I always stay here and always feel safe and enjoy the people and the rooms. The employees are so courteous and after my many stays I feel like family! I have been coming here for many years now and it is encouraging that the same people greet me and take care of my needs so willingly. Thanks for all your good care.